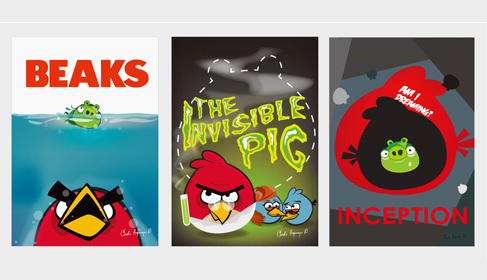 Angry Birds Movie Posters Vector | Free Vector Graphics | All Free Web Resources for Designer - Web Design Hot! we are huge fans of Angry Birds and when did the playing card game Mao and I fell in love with the idea of continue making alternative version of well known movies with those hilarious birds as stars. This entry was posted on Tuesday, May 22nd, 2012 at 8:54 pm and is filed under Free Vector Graphics . You can follow any responses to this entry through the RSS 2.0 feed. You can leave a response, or trackback from your own site.